A dog can make a great sibling and friend for your children. Spreading joy, providing comfort, and teaching responsibility and patience, these loveable pets fill many roles. However, some breeds of dogs are known to get along better with children than others. While each individual dog is unique and many don’t conform to breed standards, reviewing dog breeds is a good way to begin the process of selecting a pet to join your family. To get started, check out our list of good dogs for families with kids. First, select a dog with a calm, gentle temperament. Chances are, your children will test your pet’s patience during playtime, so pick a dog that isn’t quick to react. Next, although highly energetic dogs make fun pets, they might not be the best choice for families with small, hyper toddlers. Not only could your excited dog accidentally harm your child during an innocent game, but also the pair could add some stress to your household when running around and making noise together. Finally, the size of a dog often impacts its temperament and energy level. Although this fact goes against many people’s instincts, larger dogs are typically the better choice for young families. Why? Small dogs are often more energetic, less patient, and less obedient than large dogs. However, this varies from breed to breed. Labrador Retrievers are among the best dogs for families because they are usually obedient, affectionate, and patient. Additionally, they are very smart, which makes training a bit easier. One thing to keep in mind, however, is that Labrador Retrievers require a lot of exercise and grooming. Golden Retrievers are very similar to Labrador Retrievers, and they are known for their loyalty and even temperament. If you choose to add a Golden Retriever to your family, teach your children how to play games with the dog that involve retrieving, like frisbee and fetch. Although these dogs love to play outside, they prefer to be indoors with their families the majority of the time. Standard Poodles are great dogs for families dealing with allergies because they have hair instead of fur that sheds. Poodles love protecting and pleasing their owners and are also highly intelligent. With the help of your children, you can teach your Poodle fun tricks. Great Danes are often called “gentle giants.” Their patient spirits pair well with playful children. Great Danes are low maintenance when it comes to grooming, but they require a lot of food. You will need to exercise your Great Dane, but don’t expect small children to be able to handle these large dogs on a leash. Beagles are a great choice for families who prefer smaller dogs but still want a patient, friendly pet. Don’t let their small size fool you – they still need plenty of exercise and playtime to stay healthy. Keep an eye on your dog when it’s outside because Beagles are known to be quite the escape artists! Mixed-breed dogs (commonly referred to as “mutts”) can make very good dogs for families with kids, especially if they are a blend of breeds that are known for being intelligent and gentle. In addition, these dogs generally face fewer health issues than purebred dogs (source). Are you looking for a dog that will fit in well with your young family? 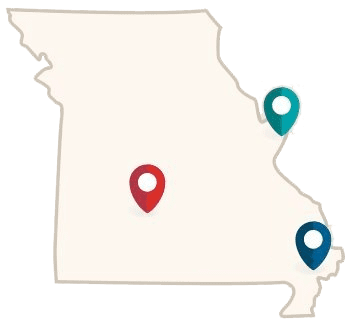 If you live in Missouri, visit your nearest Petsway. Our friendly staff can give you tips and resources so that you can find the perfect dog to add to your family. You will also find plenty of products to keep your new furry friend happy and healthy. We would love to answer any of your questions, so please message us or stop by! We look forward to assisting you and all the pets in your family.